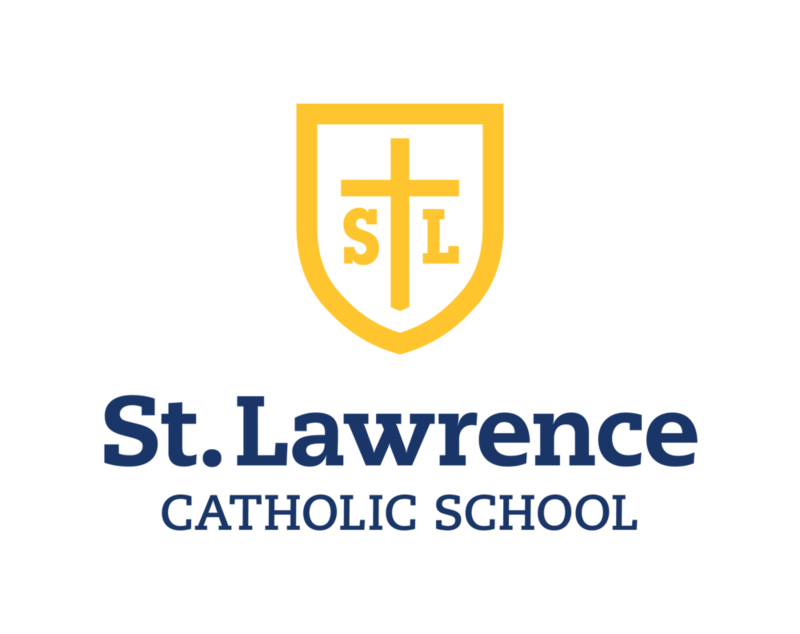 We are St. Lawrence Catholic Community and this is our new branding and visual identity. Our new logo family exemplifies who we are as St. Lawrence, a Catholic parish, Catholic school and athletics. And yes, WE ARE THE MUSTANGS! A consistent visual identity supports a strong brand for St. Lawrence Parish by creating a unified look in all communications. It’s important for visuals to immediately identify communications as coming from St. Lawrence. All of St. Lawrence Parish, School, and Athletics, must follow the visual identity guidelines for all external and internal communications. Outside agencies that create materials for St. Lawrence must also follow the guidelines. To ensure consistent STL branding, contact Lisa DiMercurio at ldimercurio@stlawrenceparish.com to discuss the STL visual brand guidelines or optain logo files. Correct and consistent use of the following visual identity elements strengthens our overall identity and lets our community recognize that we are all an integral part of St. Lawrence. In an effort to maintain consistency and build a unified St. Lawrence Parish brand, the STL logo family must be used on all forms of communication and whenever the Parish is being represented. To ensure a unified brand, unique logos are not allowed without exception. Stylized or hand drawn versions of the “Mustang Mascot” logo are not permitted. Please be sure to read through the Visual Identity before utilizing the STL logo family. The STL™ logo family is registered trademarked and cannot be altered in any way. The STL™ logo family has usage allowances exclusive to those organizations within the St. Lawrence Parish.